This week, we went on a lovely hike at River Trail Nature Center in Northbrook, Illinois. Reds, oranges, browns and yellows are currently present in the forest preserve. 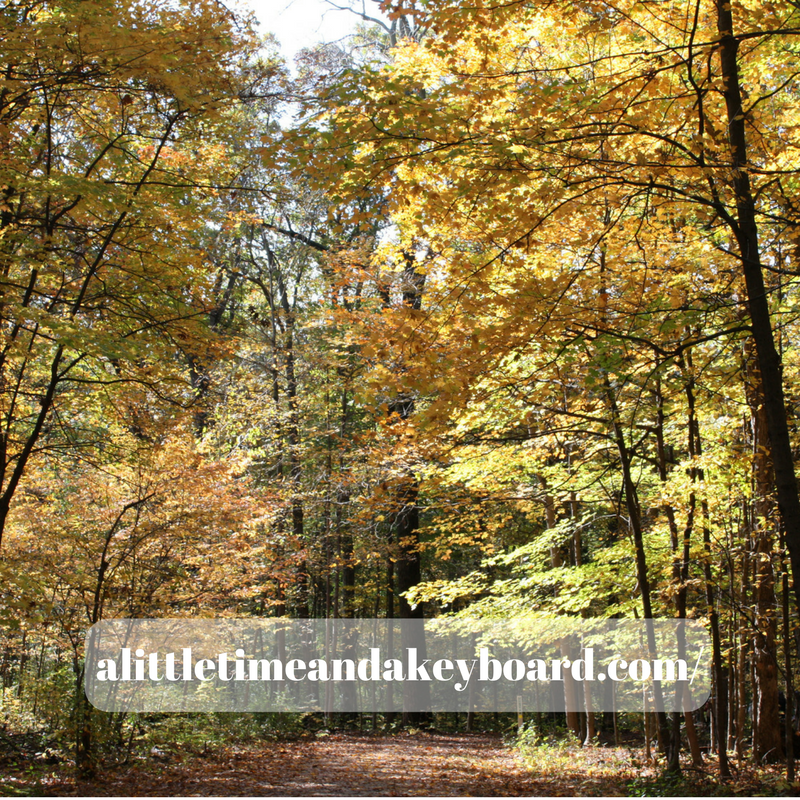 The gentle hiking trail makes for an easy and pleasant jaunt through the woods ablaze with fall colors. 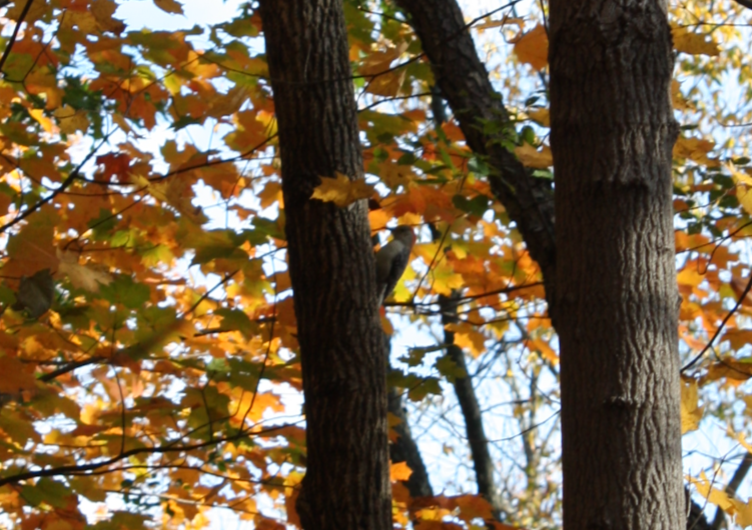 The woods were relatively quiet during our visit, so we did spy quite a few birds. We saw several woodpeckers including the red capped woodpecker above. If you have birding binoculars, bring them along! With all of the warm hues and the brilliant sun, we were walking through a fall wonderland. 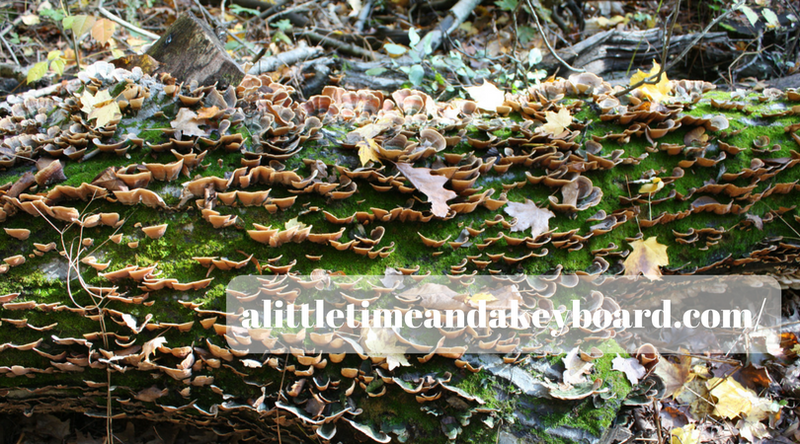 During our walk, we discovered a downed tree covered with emerald moss threaded with an intricate fungi design. 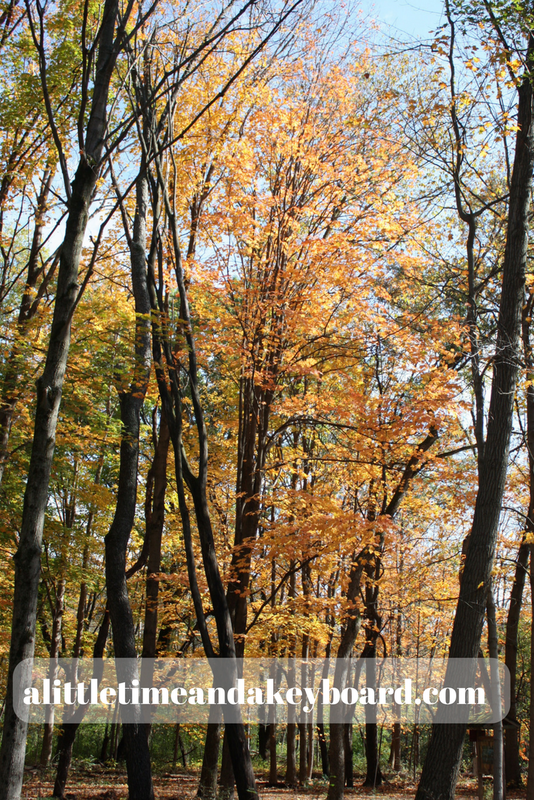 With fall leaves strewn about, the tree looked like an amazing piece of natural art. 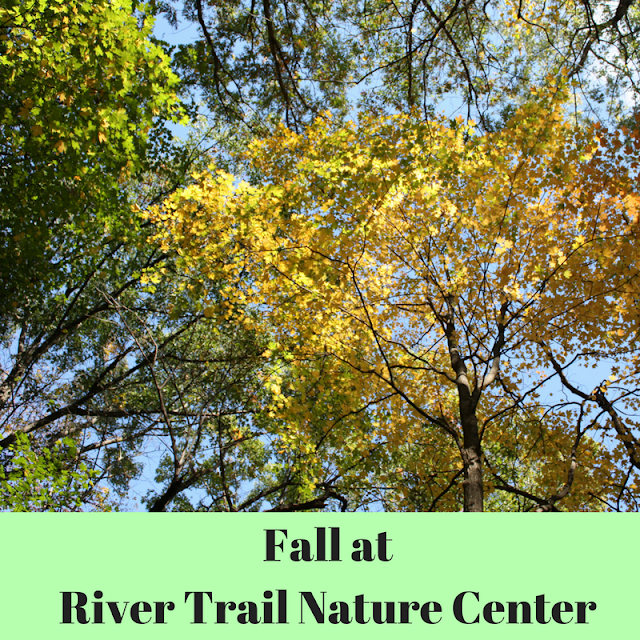 Now is the time to visit River Trail to enjoy the fall colors. 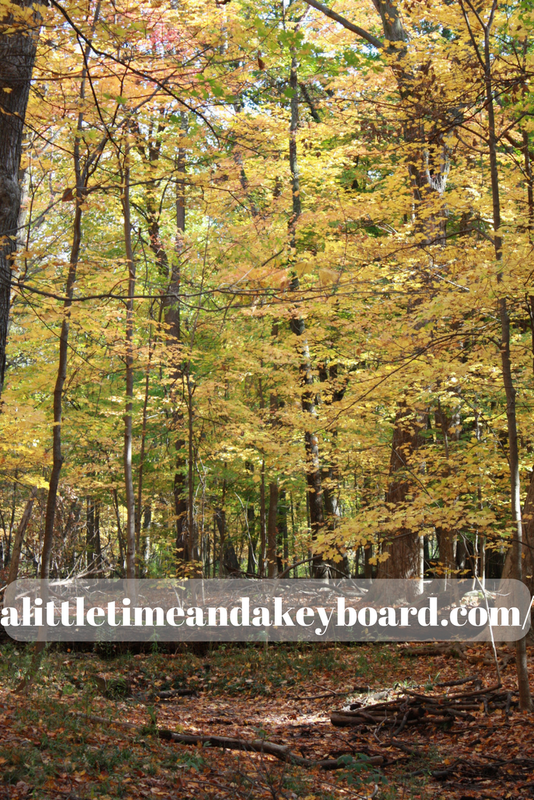 Some trees have yet to turn and others will be losing their leaves sooner rather than later. 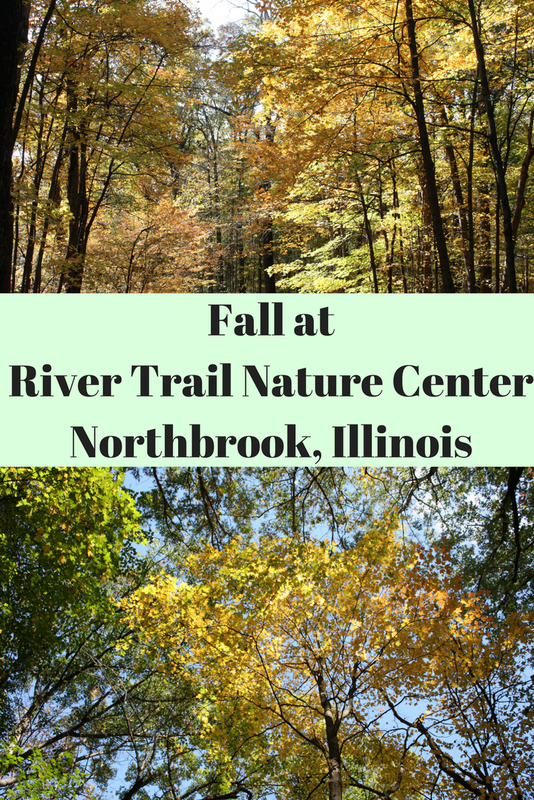 When you visit, you can also duck inside the nature center to visit with resident animals. There are a number of bird feeders around the center, so you will probably spot some birds. There are also some animal enclosures nearby. Not to be missed -- the rainbow carpet of the fall forest! River Trail is one of our favorites for a walk, especially in the fall! 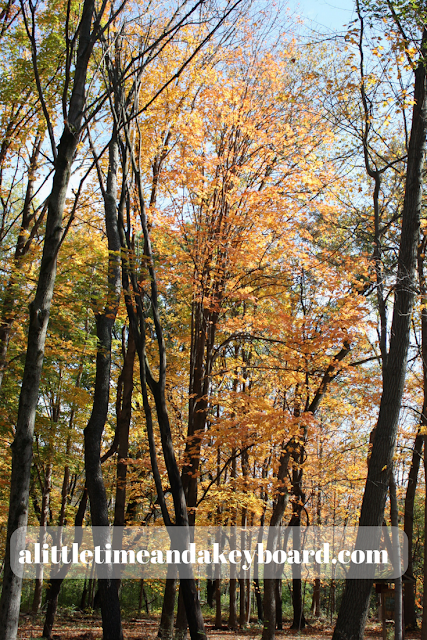 Get out soon, before the leaves are gone!